1. 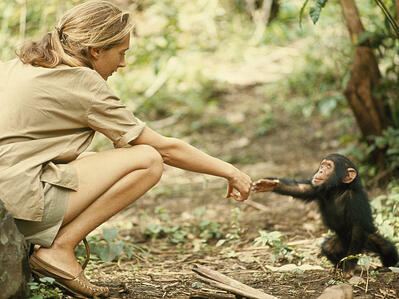 Jane Goodall was first introduced to chimpanzees when she was a baby. Her father presented her with a toy chimpanzee when she was one year old. Goodall named it Jubilee and for years the toy remained by her side. Even now, Goodall keeps Jubilee on her dresser. 2. As a child, Goodall loved books about animals and Africa, especially The Story of Dr. Dolittle and Edgar Rice Burrough’s Tarzan series. However, Goodall was disdainful of Tarzan's romantic interest, Jane Porter, and thought that she would be a better romantic match for the tree-swinging hero. 3. 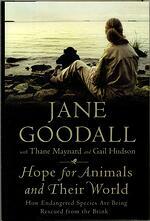 Goodall observed animals from a young age. Once, she sat for five hours in her family’s chicken coop to watch a hen lay an egg. When she finally came out, Goodall discovered that her family was frantic and had called the police to report her missing. 4. When Goodall graduated from high school, she couldn’t afford college tuition. Instead, she worked for years as a secretary, a waitress, and a filmmaker’s assistant. 5. Goodall first traveled to Africa when she was 23 years old to visit a friend in Kenya. There, she met famous anthropologist Dr. Louis S. B. Leakey who hired Goodall as his assistant. He later sent her to Tanzania to observe chimpanzees. 6. When Goodall first traveled to Tanzania in 1960, the British government mandated that she have a travel partner—it was deemed inappropriate for her to travel alone. So her mother joined her on the journey. 7. Shortly after working in Tanzania, Goodall made two revolutionary observations about chimpanzees: 1) that they used tools, a behavior previously attributed only to humans; 2) chimpanzees were not vegetarian. Following these discoveries, National Geographic sponsored Goodall’s work, sending photographer Hugo van Lawick to document Goodall and the chimpanzees. Van Lawick and Goodall married in 1964. 8. Goodall entered Cambridge University as a Ph.D. candidate in 1962—one of the first Ph.D. students accepted by the university without a college degree. She graduated in 1966 with a Ph.D. in Ethology. Her thesis was titled, "Behaviour of the Free-Ranging Chimpanzee." 9. Despite being recognized as the world’s foremost expert in chimpanzees, Goodall’s work has not escaped controversy. Some scientists disapproved that Goodall named chimpanzees rather than assigning them numbers. Others criticized her for using feeding stations to attract chimpanzees, arguing that she disrupted natural feeding patterns and encouraged aggression in the animals. 10. 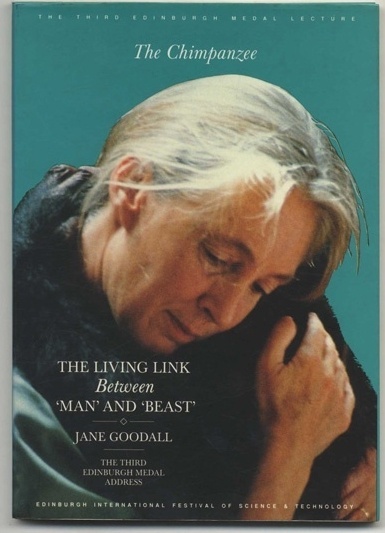 Goodall’s books—especially Through a Window and In the Shadow of Man—became so popular that the chimpanzees she worked with became internationally, and individually, known. When one of the chimpanzees died—old Flo—the London Times printed an obituary. In this remarkable illustrated lecture, Jane Goodall describes her work in the Gombe Stream Game Reserve. Her efforts revealed how chimpanzees have unique personalities and develop complex psychological, social and political relationships with one another. 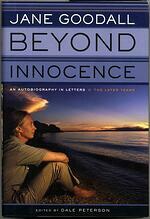 From Jane Goodall's Introduction: "This book has taken me on a fantastic journey of exploration: I have learned ever more about animal and planet species brought to the brink of extinction by human activities and then, sometimes at the very last minute and against all odds, been given a reprieve." The second volume and continuation of her 2000 autobiography in letters, Africa in my Blood. According to Goodall, this book includes the years of her greatest triumphs, her deepest tragedies, as well as her most important observations about chimpanzee behavior, including the dark discovery that chimpanzees wage war and commit murder just as human do. Who can fly the highest? "I can", claims the lark, the dove, the vulture, and—of course—the mighty eagle. To settle the dispute, the birds hold a contest to see who can soar to the greatest height. 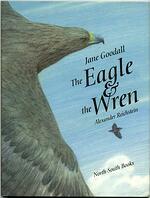 In The Eagle & The Wren, Jane Goodall retells a beloved fable from her own childhood, a story of teamwork and togetherness, and shares insights from her own life. 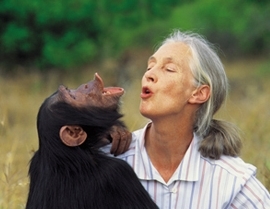 Jane Goodall tells the story of Dr. White who worked his magic on critically ill children. But his treatment methods, while often successful, were most unusual, and one day he was banned from the hospital. Everyone missed him, and his patients suffered in his absence. It took an unexpected tragedy and a miraculous cure to restore Dr. White to the patients he loved.